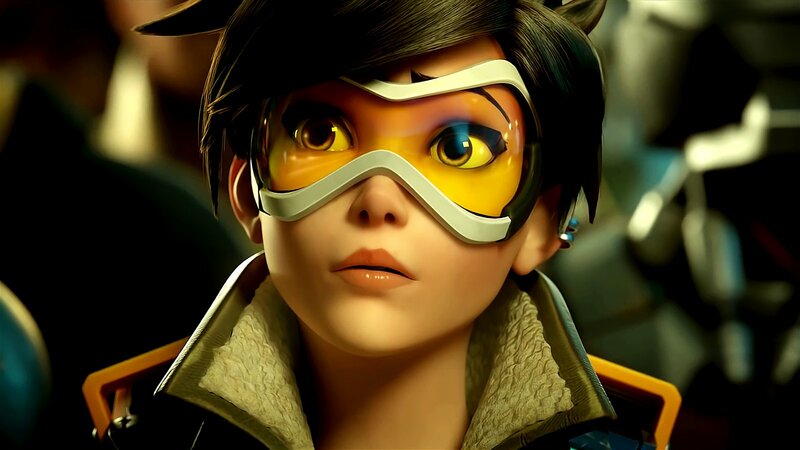 With BlizzCon came a flurry (a blizzard, you might say,) of new Overwatch news. Being present for the proceedings, I looked to the future with cautious optimism. Blizzard’s FPS debut is far and away my favourite game this year, and the changes coming to the title fundamentally alter core mechanics and split up the player base. Considering how much time I’ve sunk into the title, this gave me pause. Would my personal GOTY be unrecognizable in a little under a month? As it turns out, yes and no. While Overwatch is now a very different beast than the game we got in May, it’s retained everything that made me fall in love with it. That said, balancing tweaks, mode changes and a new character will force players out of their comfort zones. Here are some highlights from the ongoing PTR, which will likely be implemented into Overwatch in the coming weeks. 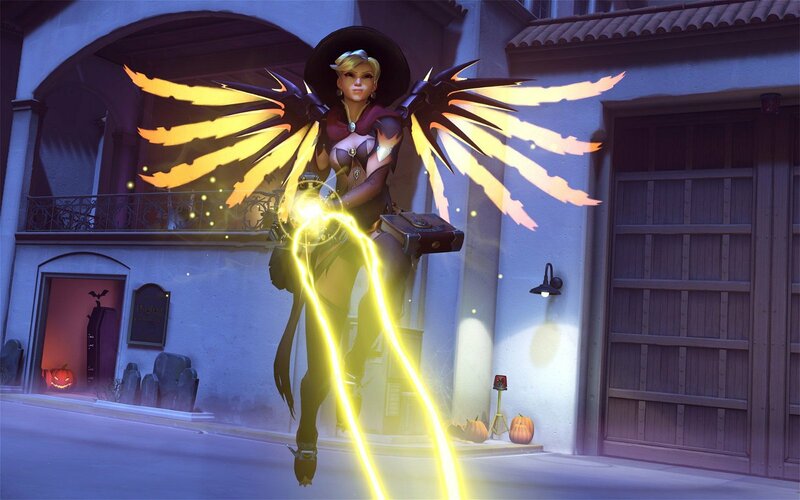 With each major update to a competitive game comes nerfing anxiety—will a player’s main heroes no longer be choice picks? Luckily, Blizzard has overcome their history of abhorrent patches to deliver some changes that feel pretty fair. Even some specific character changes don’t feel too crippling, and in some cases, even help certain heroes become more viable picks without overpowering them. For starters, every hero except for D.VA has taken a 25% increase to their ultimate charges. This means Mei isn’t going to be able to rush in, freeze a person or two, then “dong zhu buxu zou” her way to a team kill within a minute. Players will now be forced to duke it out a little longer, which significantly changes the dynamics of Control matches. A lot of characters might not be able to have an ult stockpiled before the control point unlocks now, which will definitely force a change in strategy for some. This is a pretty major shift, encouraging players to fight without their ults more often. In terms of specific character changes, three heroes see pretty major upgrades: D.VA, Pharah, and Torbjorn. D.VA’s movement speed while firing has been increased, and she’s been given an extra 100 health while in her mech’s cockpit. This makes her a bit more viable as a true tank, which will make D.VA mains like myself pretty happy. Meanwhile, Pharah’s gotten a 25% increase to her thrusters, meaning she now never has to touch the ground. That’s an ideal scenario for people who want to zip around above the fight and scatter teams with rockets. Lastly, Torbjorn’s gotten some major overhauls—most notably a passive scrap-generating ability. This means he’ll be able to consistently pump out armour for the team, even without a high kill count. His hammer’s also been buffed, meaning stronger turrets coming much faster. That said, the patch hasn’t been kind to all heroes. Ana’s Nano Boost ability will no longer increase its recipient’s movement speeds. This means common strategies of boosting a tank, then watching them rush in and grief the other team, are all but dead. Meanwhile, Mei has gotten an additional nerf to her ult charge on top of the across-the-board changes, and Pharah’s rockets don’t push characters around as much. These could either see the heroes being utilized less often, or birth new ways to play them. Overall though, these changes aren’t as bad as Blizzard’s notoriously garbage StarCraft II or Hearthstone changes. For the most part, they seem pretty reasonable, even if they do shake up the meta a bit. One of the biggest additions to Overwatch’s PTR is Sombra, the subject of a prolonged ARG that was finally revealed last weekend. An offensive hero, the mysterious hacker is primarily focused on sneaking around and turning the tables on the opposing team. Some of her abilities had the online community crying foul (although, let’s face it, pretty much everything does these days,) but having spent time with her, I personally think she’s a crucial addition to the game. Why? Because she’s the ultimate gamechanger. That isn’t necessarily because of her raw offensive power, because she doesn’t have much. Her Uzi is pretty mediocre, and best used in either emergency situations or to take out wounded enemies. Instead, her strength comes in royally screwing over the team through sabotage. For starters, she has the ability to turn completely invisible for six seconds with Thermoptic Camo. There’s no translucent outline or anything like that—the opposing team flatout can’t see her while she’s cloaked. This opens up several opportunities with her other abilities. 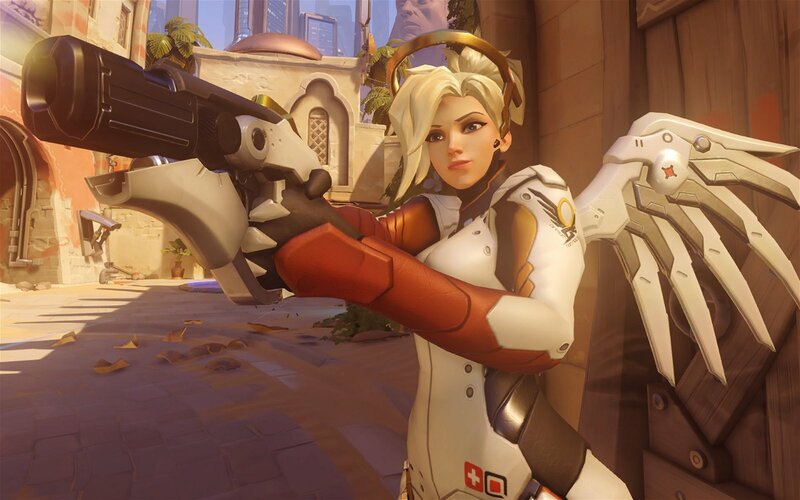 For starters, her Hack ability can either deactivate an enemy’s abilities or claim health packs for her team. This means Reinhardt’s shield and Lucio’s Sound Barrier, for example, can get completely wrecked after a two-second hack. In addition, hacking health packs means enemies can’t use them for a period of time, and they respawn way faster. Because she’s a pretty weak offense, Sombra’s Translocator ability and passive skill help validate her as a pure stealth hero. Translocator is a device that can be thrown and reactivated again within 15 seconds, instantly teleporting Sombra back to where it was tossed. It helps players sneak, hack, then high-tail out of the way in an expedient fashion. Meanwhile, her passive Opportunist ability lets her see enemies through walls when they’re at or below half health, meaning she can sneak in, finish them off, then get back into the action. Last but not least is EMP. This is, frankly, a devastating ult that can change the tide of a skirmish if used right. It’s Hack but with a radius, basically, and feels specifically designed to punish bad team management. If the opposing side is all huddling behind a Reinhardt, for example, Sombra can bust them wide open and leave them vulnerable to a full-frontal assault. 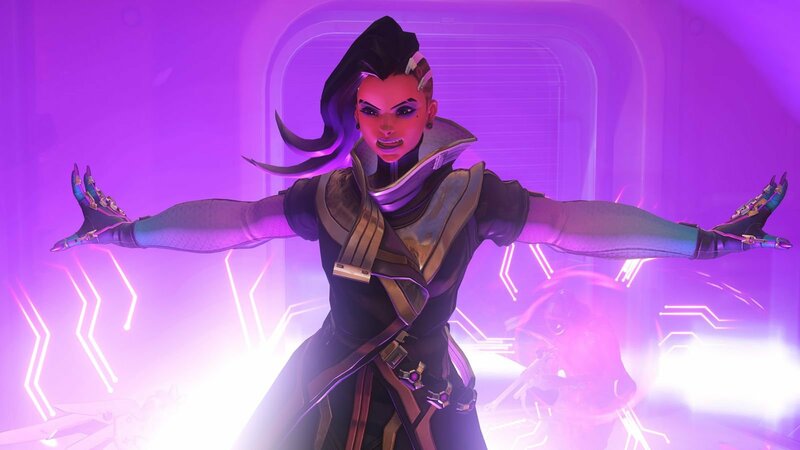 Overall, Sombra is a strong addition to Overwatch’s roster, but definitively not overpowered. She can’t take or dish out a ton of damage, and players who aren’t great at stealth will probably fail miserably if they play as her. 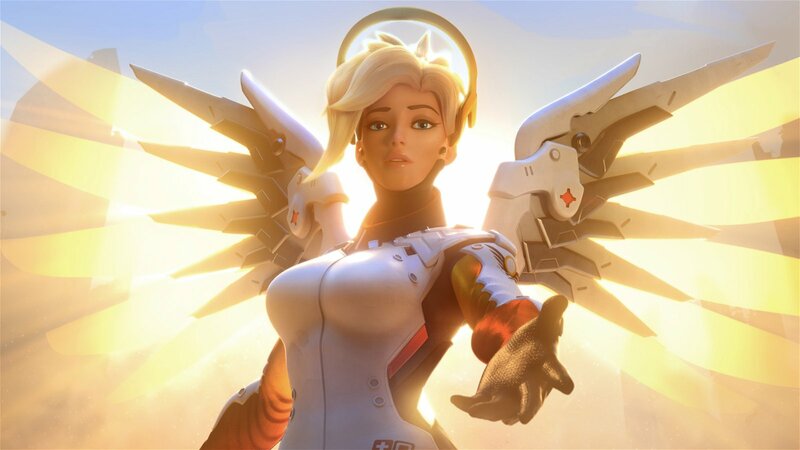 Blizzard seemingly included her in an attempt to shake up the meta, and to break up bad team composition. To that effect, she’s a great addition, and I can’t wait to see her in the main game. Blizzard’s thrown some pretty major mode changes into Overwatch’s PTR, after announcing them at BlizzCon. The most notable of these is Arcade, which hosts all sorts of game variants and opens up options for players who want to mess around a little. 1v1 is total blast, with two players being randomly assigned the same hero and forced to duke it out in a perfectly balanced duel. I’m also a fan of the 6v6 mode which allows hero-stacking, considering that’s an option that’s being taken out of Quickplay, and the rotating Brawl playlist. While I do have personal reservations about Overwatch’s Quickplay’s changes, not to mention fragmenting the player base, I do think Arcade is a worthwhile addition. The fun of classic arena shooters, which is the cloth Overwatch is very clearly cut from, was often in the myriad silly game types you could engage in. Blizzard is clearly aiming to bring those days back, as well as compete with more established shooters like Call of Duty, which come prepackaged with all sorts of modes. My hope is that, unlike Activision’s unstoppable juggernaut, people actually play these modes, and they’re not just dead weight with empty servers. The inclusion of loot boxes was a wise move on the devs’ part, because it gives people incentive to play every week. Looking at the new modes, new character, new balance tweaks and a new, spacious map, it’s hard not to come away from Overwatch’s PTR with excitement. Blizzard has put a lot of work into keeping this game interesting, and this is the next step in that journey. While it’s a very different game than the one we saw earlier this year, it’s ultimately a stronger one, with more balance and more features. By taking the Splatoon approach to rolling out content, Blizzard is currently winning the long game by pumping life into their fledgling title at zero cost. From the looks of it, Overwatch is still a game I’ll be playing daily in the coming months, and still my personal favourite title of 2016.